What if I tell you that “Selection of right grow light isn’t enough to win at your indoor growing.”? Yeah, it’s essential to conserve light generated by your LED inside your grow space so that your plants can make maximum out of it. For that purpose, you’ll need one of the Best Grow tents for your indoor weed cultivation purpose. In this guide, our team have done all the hard work for you and researched 10 Top rated and highly recommended grow tents. Yeah, grow tents are an essential part like LED grow lights, fertilizers and carbon filters because it just doesn’t fulfill your needs but also offers some decent advantages along with safety and better results in yield. At the end of this grow tent reviews we’ll present you an easy to understand guide where we’ve included all the why’s and how’s about its role in indoor growing. So, carry on with this reviews of best grow tents available for all type of purpose and all level of gardeners. 1.10 420ExpertGuide’s verdict about selecting the one out of this top 10 grow tents. Suitable for tall plants too. Suitable for large grow space. Suitable for 3’X3′ grow space. Best Reflection result upto 100%. Best for all type of plants. Thick canvas and durable frame. High Quality zipper with protective cover. Less light leakage and 100% Reflection. Here we’re presenting you the best grow tent reviews on the market to help you in selecting one of the best among all the crap. Please, take a brief look at it and go with one which fits you in all the way. Apollo is a widely recognized brand for quality control and long life performance. The company manufactures a wide range of products from grow lights to grow tents to accessories and ballasts. Their famous products include 600W LED Grow Light, 4’ X 4’ X 6.6’ Grow tent, and 3’ X 3’ X 6’ grow tent and much more. As we already stated they are known for quality control, and their main aim is to deliver satisfaction to the customers for their hard earned money. Speaking about this specific variant of Apollo grow tent, then it comes with some decent capability and highly durable materials. Let’s explore, what it is? Grow tent is made up of high-quality thick material, and double stitching and heavy-duty yet smooth zippers ensure light protection up to maximum extent. Yeah, Oxford 600D material is highly recommended to make it a long life companion. Also, that’s what Apollo 48” X 48” grow tent offers to their customers. Assembly of Apollo 48” X 48” X 80” grow tent is pretty simple and don’t require any professional experience or unnecessary hassle. Yeah, they provide an easy to understand assembly manual with the help of it you’ll be able to assemble it in no matter of time. What makes this grow tent fabulous is inner Mylar lining. 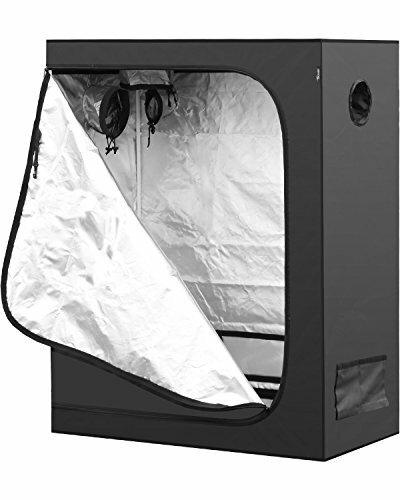 Yeah, Apollo 4’ X 4’ grow tent comes with fully reflective Mylar lining and boosts lighting effect inside your grow space. This Mylar lining helps in improving reflection which further increases your yield. Yeah, as your plants will have more room to absorb more and more light. If you’re worried about the size of plants it can accommodate then it is 6.6’ in height so you can use it for 3 feet of plants. Yeah, we don’t recommend this grow tent for taller plants because some room is required between plant canopies and grow light to achieve better results. As Apollo grow tent is entirely leak-proof, you’ll not have to worry about grow tent odor. Inside the grow tent you’ll have decent room to install cooling fans, grow lights, power outlet board, and much more. This grow tent is suitable to all level of growers. Yeah, it doesn’t matter whether you’re just beginning in indoor weed cultivation or you’re a professional. Above all, Apollo offers 90 days hassle free warranty. However, we consulted several existing users, and none of them reported any issue with this grow light. Yeah, high-quality product, reasonable price and customer-oriented support that’s what Apollo horticulture is offering to you. Also, in case you’re still planning to buy an LED then here we’ve reviewed best led lights for 4X4 grow tent here. You can choose one out of those 3 LED grow lights for better results. If you’re planning to start growing in 4’ X4’ of grow space and don’t want to spend a hefty amount of money on a grow tent then go with Apollo horticulture 48” X 48” X 80” grow tent. Yeah, we’re recommending this grow tent based on the fact that it succeeded in satisfying customers with high quality, durable, and performance oriented product. Looking at existing user’s opinion and their experience we’ve decided to consider it as our editor’s choice product in our list of best grow tents for indoor plants. And here it comes from iPower. This one is packed with features and reliability for more prolonged use. iPower is a widely known brand for hydroponic tools and grow tents are their specialty we must say. iPower 2’ X 4’ grow tent is made up of high quality and tear proof thick and resistive materials. So yeah, no chance of light leakage. In the box, you’ll get all the parts needed in the assembly which includes a metallic frame, tool-free clip corners, water resistant removable tray and tent cover. iPower also provides an assembly manual along with this small grow tent which makes things easy for you. Just follow the steps mentioned in the assembly manual, and you’re done. Now, let’s talk about the central part. And, what it could be apart from the performance? Yeah, we used the word ‘performance’ here due to some apparent reason. The ideal expectation from a grow tent is to build a separate grow space for plants — however, there few factors that need to be satisfied along with typical requirements. This factor includes reflection, light leakage, exhausting mechanism, air flow and much more. If we talk about grow light compatibility in this grow tent, then its sturdy metal frame can handle a grow light weighing around 110 lbs. We are glad to tell you that iPower succeeded in providing a grow tent which can achieve around 95% of light reflection. Yeah, internal Mylar material in iPower is utmost reflective and returns around 90-95% of light back to the plants. It further helps in plant growth and results in higher yields at the end. This grow tent is 5ft. in height, and it is ideal for plants with a maximum height of 2.5’ – 3’. As far as light leakage is concerned iPower grow tent material stitched well, and along with it high-quality leak-proof zippers further prevents light loss. For exhausting heated air, grow tent has a high-quality double layer exhaust duct hole from where you can remove heat. For the bottom side you’ll get a removable water tray which is easy to set up and utilize. It helps in keeping you grow space clean which is a vital requirement for maintaining healthy plants and getting higher results. All these features are offered to you at a very affordable price. Moreover, along with all this satisfaction oriented features iPower offers 1 year customer friendly warranty and support which is a definite plus point. Weight holding cap of 110 lbs for hanging lights. 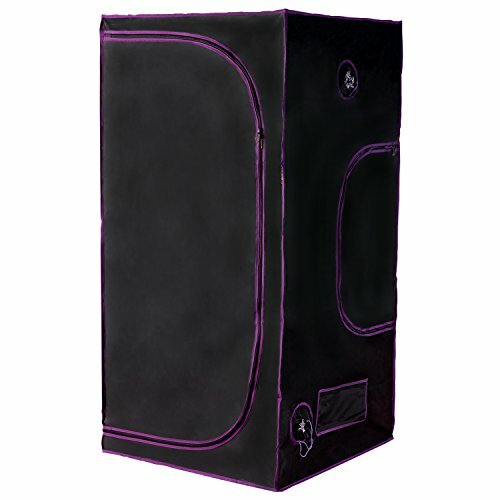 This grow tent is offered at the very reasonable price range. Apart from that all the features and quality it provides are fabulous. Significant things that we liked about iPower is Reflection capability, Metalic frame, and leak proof materials. However, we didn’t just state its features in the dark, but our team approached the people who’re using it since at least one year and concluded that everyone is happily using it. Yeah, looking at this 300+ reviews on Amazon you too won’t have any doubt behind our recommendation for buying iPower 2’ X 4’ grow tent. Yeah, you might have heard the name VIVOSUN as its quite famous among gardener lobby. VIVOSUN is Hydroponic and indoor gardening tool manufacturing brand located in China. And, their expertise in the same can be seen in their products such as this 4’ X 2’ grow tent. Yeah, This particular variant of VIVOSUN grow tent is an ideal grow tent designed especially for gardeners with growing space of 4’ X 2’. If we talk about the quality of the grow tent and its materials, then we must say that it passes the test from all the essential points. Yeah, let’s start with canvas. Vivosun 4’ x 2’ grow tent is made up of 600D canvas material which is thick in nature. Canvas is completely tear-proof and dual stitched so there is no room for light to escape outside your grow space. As we usually say, reflection is a prime requirement in any of the grow tent you look for. However, in VIVOSUN grow tent you can achieve around 92-95% reflective light with the help of high-quality Mylar lining inside grow tent cover. More the reflection, less the light waste and better the yield and quality of flowers. High-quality metallic frame is enough to handle any grow light suitable for 4’ X 2’ coverage space. Zippers used in VIVOSUN grow tent are best on the market concerning quality. This grow tent also features an observation window from where you can keep an eye on plants growth without entering inside. As additional features, you’ll get tool holder inside the grow tent, easy to remove and clean water tray for the bottom, tool-free connectors, carbon filter belts for the side, double layer exhaust hole with leak-proof binding. The best part about VIVOSUN 48” X 24” Mylar grow tent is the manufacturer is sure that their product won’t fail even on the longer run. Yeah, it offers 2 years worry free warranty to their customers. Initial use of zipper might seem a bit tiresome, you may use lubrication or give it some time but using it smoothly. It’s not 100% reflective but around 98% light reflects back to the plants. 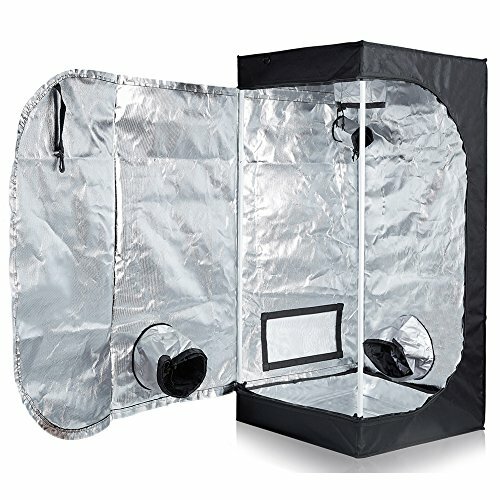 VIVOSUN is offering everything that we can expect from an ideal grow tent. However, the best part about it is 2 years warranty. With quality materials, excellent reflection capability, multiple utility options inside grow space, leak-proof design and observer window it is definitely the best budget beginner friendly grow tent on the market. Also, it has a decent customer base currently and their level of satisfaction is fabulous so we’d definitely recommend VIVOSUN grow tent if you’re planning to grow in 4’ X 2’ of grow space and don’t want to make a hole in your pocket. And now it comes from coolgrows. Yeah, small, steady and robust this three S are enough to define this grow tent. However, we’d like to give a detailed review of coolgrows small grow tent for better understanding and to help you in your decision making process. Coolgrows 2’ X 2’ grow tent is a beginner level affordable grow tent out there. Yeah, we used the word ‘affordable’ instead of ‘cheap’ because what you’re getting with this grow tent is not less than a premium grow tent available on the market. Coolgrows grow tent is made up of highly durable 600D tear-proof canvas material. Moreover, double stitching ensures that not even a fractional amount of light could escape from your grow space. The newer version of Coolgrows 2’ X 2’ grow tent has upgraded Mylar lining which is impressive. Also, it helps your plants to grow better by returning around 99% of light generated by your grow lights. Grow tent assembly is pretty user-friendly, and even a beginner marijuana cultivator could assemble it without any hassle. You’ll receive an assembly manual along with this coolgrows growing tent. Just follow the steps connect the metal bars and corner clips with each other and cover the tent using canvas and you’re done. However, it’s hard steal corners and needs perfect fitment using screwdrivers. Yeah, Coolgrows grow tent feature sturdy and reliable metal bar to hold weight of your grow lights and other tools that you need to hang on the bar. 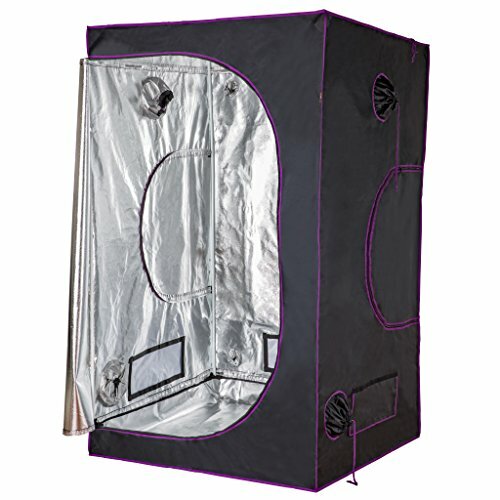 Grow tent also features a viewing window which is multipurpose. Yeah, it helps in amplifying energy by filtering out white light and gives you freedom to monitor plants without opening whole grow tent. Also comes with a water resistant spill tray which lets you clean bottom of your grow space without worries. Tent is ideal in size and can be used anywhere inside your house for succeeding in your next indoor growing adventure. If we talk about zipper quality and stitching, then it won’t disappoint you as coolgrows grow tent comes with high-quality smooth zippers along with protection cover. Yeah, protection cover on the zipper further reduces the chance of light wastage. 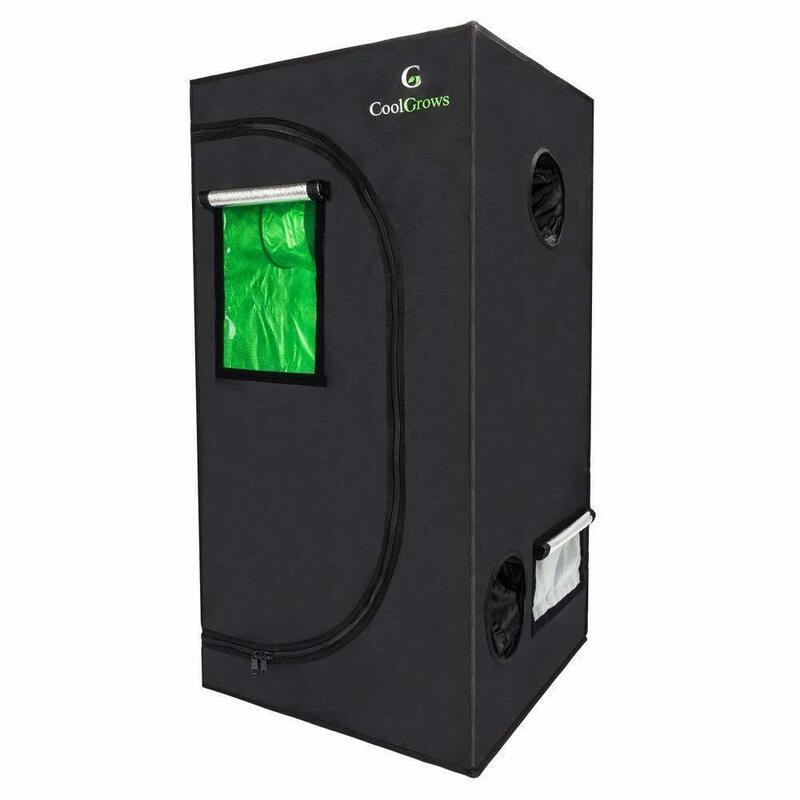 To make airflow inside your grow space easy, Coolgrows grow tent features two vents from where you can regulate the airflow and excessive heat according to your preference. In the box, you’ll get assembly materials which included metal poles, cover, bottom tray, two nylon hanging straps and one plastic buckle. All these features are offered at an unbeatable price and along with one-year hassle-free manufacturer’s warranty. Jointing cornering clips with poles may need screw driver and other tools. People who’re running short in budget and still want to bring quality stuff for their weed grow space have tried it and agreed that they’ve got what they were looking for. Our last statement is based on our survey where we asked people that what made them going for Coolgrows when there were plenty of options available on the market. Yeah, affordable price range, best in the segment reflective Mylar, sturdy and reliable poles and user-friendly assembly along with utility options available on the grow tent are the main reason behind its selection in our list of best grow tents available on the market. Amazed to see another beast from the same manufacturer? Yeah, you might be! However, as we already stated, VIVOSUN is a brand that’s worth your attention. If we talk about this specific variant of VIVOSUN grow tent then it is specifically designed for people with large coverage area. So, yeah, if you’re looking for a grow tent for you 25 sq.ft of grow space, then this one is definitely best nomination out there. As far as quality is concerned, VIVOSUN never fails to satisfy their customer with quality, and that’s what is offered in this grow tent. High quality and thick oxford 600D canvas is the identity of VIVOSUN as far as the body is concerned. We must say, quality of the canvas isn’t compromised for the balancing price because it’s completely tear-proof and double stitched. Also, sturdy and trustworthy metal poles and framing bars provides decent backbone support for stability and safety. Now, comes the part of the assembly and believe us, it’s smooth and steady step by step process to make it work in no time. You’ll also get an assembly manual which will make things easy for you. Inner Mylar material and lining should be the prior concern when deciding to buy a grow tent. Moreover, in such case, you’ll get marvelous material which is capable of returning around 95% of light back to the plants. This reflection factor is essential because in several cases we came across where grow tent had lifted entire growing game when grow light fails. Yeah, one user shared his story with us where he was using a cheap LED grow light he purchases which weren’t performing up to the mark but with better reflective grow tent he achieved tremendous results in the end. So, yeah, with reflection you can get better results even if you’ve made the wrong choice in selecting an LED grow light for your marijuana plants. High-quality zippers prevent even a partial light loss and keeps the matter of light inside the grow space itself. Best in the segment ventilation for excessive heat and to filter white light is available in Vivosun 5’ X 5’ grow tent. Easy to clean and replace spill tray is also provided with grow tent to keep growing environment hygienic. Accessibility to monitor plant progress and monitoring is made easy with the help of observation window. All this features and quality is coming with reliable and hassle-free two years warranty. Zippers are not protected using external protection cover. Ventilation ducts and air flow management could be improved. 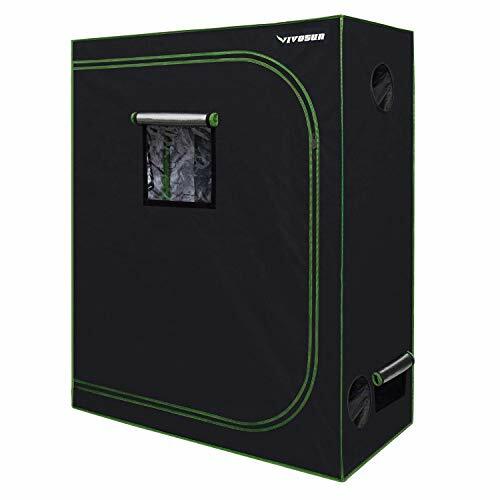 VIVOSUN 5’ X 5’ grow tent is included in our review of best grow tents for the people who are expecting stable growth of their plants inside their large-sized grow space. Yeah, we’d surely recommend this fabulous product by vivosun to all those who expect coverage of around 25 sq.ft and admires quality, convenience and better results in the long run. So folks! Here it is from Quictent. Yeah, a grow tent and a brand which succeeded in securing a place in people’s heart in no time. The best thing about this grow tent is, certification by SGS. Yeah, Quictent growing tent is certified by Standards of Genuine Safety which means materials used in the making of this grow light can stand high for soluble elements like Pb, As, Cr, Cd, Sb, Hg, Ba, Se. This certification is possible once it passes through various tests involved in the certification. If we talk about quality and materials strength, then Quictent comes with highly durable 600D Oxford canvas material for exterior and PET Mylar to help you in the best way possible for internal working. Yeah, according to manufacturer’s claim their product is 100% leak proof and reflective. However, we proffered to take opinion from people who’re already using it and came to know that majority of people agreed with the claim. This structure is the definite plus point because it helps in creating the best lighting and thermal environment for your plants which will further result in substantial and resinous buds regarding yield at harvest time. Also, yeah, for backbone support and stability there are metallic poles and cornering clips along with 3 hanging bars. Quictent Grow tent has weight bearing capacity of 120 lbs so you can imagine the strength it possesses. A convenient tool bag is also offered along with this grow tent so that you can store essential tools inside grow space itself. The observation window is another plus point as it is designed scientific manner where a transparent plastic doesn’t give room to light and airflow to escape yet you can observe progress and activity going on in your grow space. As we earlier states its SGS certified product and it is entirely Eco-friendly so worry about grow space odour in external environment. Yeah, it won’t release any harmful gasses, and that’s tested. 2 years warranty specification makes things easy to tackle whenever you face any problem with quictent grow tent. Yeah, quality is something that can result in the recommendation, and people don’t need to keep your customer care helpline number in their mind. A bit underrated as not quiet famous among growers yet. Grow tents is compatible for 4’ X 4’ X 6.5’ of grow space and comes with some awesome features. Above all, it’s certified by SGS which further eliminates concerns about material quality. Also, it has got a vast number of thumbs up on Amazon which justifies its stand in our list of best grow tents for indoor plants. Yeah, we’re recommending it to you are looking for a 4’ X 4’ compatible grow tent and expecting your growing environment to be hazardless and worry-free. Yeah, two products from Apollo succeeded in securing a place in our list of top 10 best grow tents on the market. This variant is designed for the people with average grow space capability of 3’ X 3’. Yeah, this grow tent is designed for mid-size indoor weed cultivators and comes with some marvellous capability. The first thing you’ll notice upon arrival would be material used in the making. Yeah, it’s made up of high-quality oxford 600D completely leak proof and solid canvas. For holding structure, metal pole frame is decent and sturdy. Poles used in the fame will be of high-quality metallic materials. Cornering clips and other additional accessories are provided along with the package, and for assembly, you won’t need any professional skills. So, yeah don’t worry about it. Just follow the steps mentioned in instruction pamphlet. It’s utterly foldable design so you can defold it according to your need and change growing space whenever needed. However, we don’t recommend our readers to do so until plants don’t complete an entire cycle. Now, if we talk about light holding capability and reflective strength then grow tent comes with high-quality reflective Mylar lining which can help in reflecting around 95% of light generated inside grow space. Stitching and zipper play the vital role in the prevention of light leak. Yeah, it features dual stitched design, and protective zippers ensure all light is there inside grow tent only. For exhaust and temperature management Apollo horticulture grow tents come with a ducting hole which can be tied once you remove the excessive heat out of the grow space. Yeah, this tying is essential to prevent light leakage. Now if we take a look at plant capacity, then you can grow around 3 plants if you do care about density and better growth. However, it further depends on the size of plants and position of lights you’re using in your growing environment. 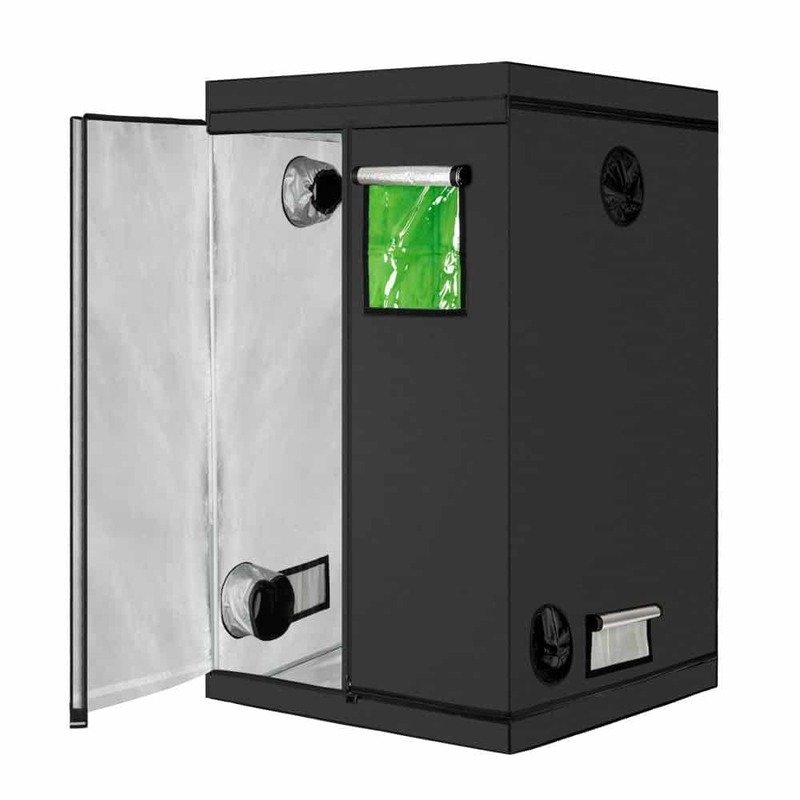 Along with all this popular and highly reliable materials you’re also getting some utility options in the grow space like a tool pocket, mesh vents, sock vents and zipped door for easy accessibility. Apollo horticulture grow tents comes with 90 days manufacturer’s warranty, and they’ll assist you in resolving all the troubles on sooner basis possible. People admiring for high-quality products at affordable rates are buying it. This 150+ reviews witness that the product is doing what it is supposed to do. However, we don’t stop there and take an opinion of people who’re using Apollo horticulture 3’ X 3’ grow tent in their grow space. In our survey, we got plenty of reason to go with it, and that helped this product to secure a place in our best indoor grow tent reviews. 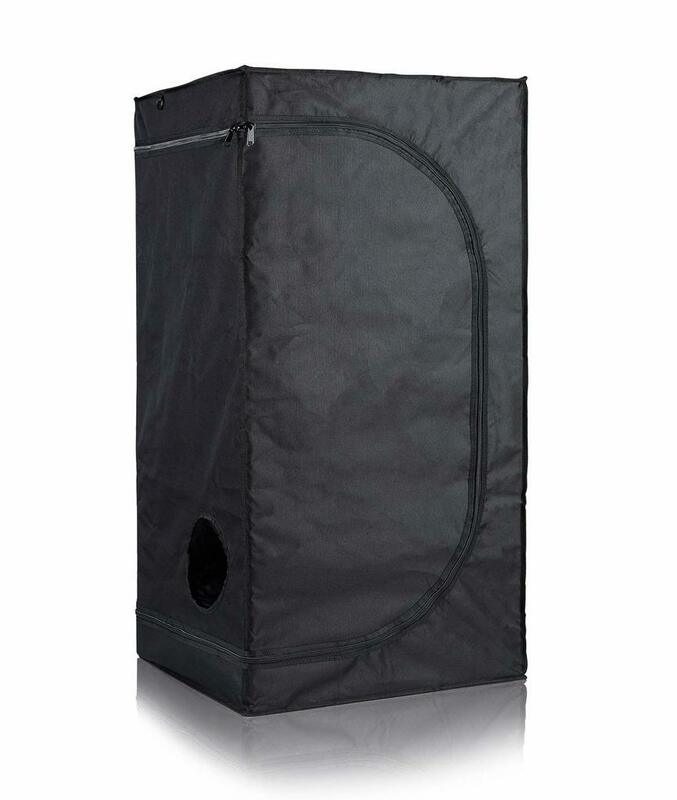 We’d recommend this grow tent based on the quality it possesses. Topolite is a widely known brand for grow tent and other hydroponics tools. 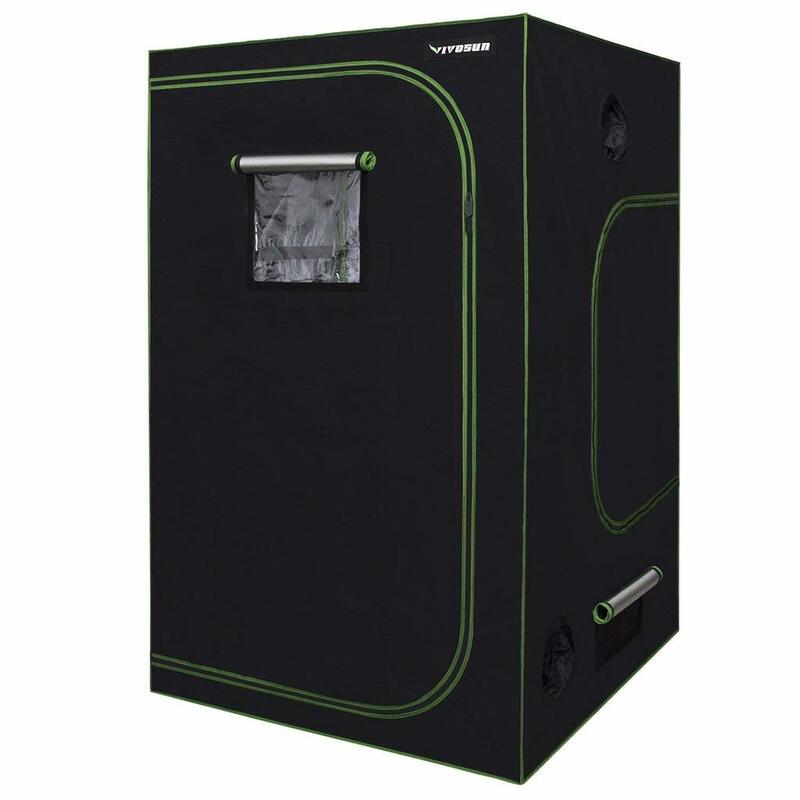 If we talk about this specific variant by Topolite, then this grow tent is suitable for beginner to mid-level indoor gardeners and weed cultivators. Yeah, as it is compatible for 2’ X 2’ grow space you can use it to settle in your corridor or balcony or at a separate corner of your room. People cultivating marijuana are praising this grow tent because it fits in all their need and requirements. Optimal size couldn’t be the only thing we should talk here. So, the most essential and extremely essential factor for indoor growing is the quality of shelter you offer to your plants. Yeah, if it was possible to cultivate indoor plants in open room, then there won’t be the thing called grow tent. When it comes to quality Topolite wins the streak by high-end premium canvas and perfect reflection capability. Yeah, Topolite 2’X2’ Grow tent features 600D Oxford canvas for outer covering and high-quality Myler lining for interior part. We must say, Mylar material used in the grow tent is marvellous as it achieves around 96% reflection in the test conducted in the manufacturer’s research centre. If you’re concerned about backbone support, then don’t worry as grow tent by topolite features high quality and sturdy frame to hold your entire growing shelter. Assembly of this grow tent is simple, and you just have to follow the instruction stated in the visual instruction manual. Yeah, everything is stated in it as a step by step guide in visual form. People worrying about light leakage will glad to know that tent is 100% leak proof. Yeah, thank to double stitching on the material and zippers which made it possible. Topolite grow tent is 4’ in height so you can utilise it for an average plant of 2’ of height as you need some room between plant and grow light. For excessive heat removal and temperature balancing grow tent features two ducts which you can tie up after removing the heat. A small tool holding the pocket on the side of grow tent comes handy for storing our everyday materials like trimmers and small-sized fertilisers inside the grow tent only. It’s entirely airtight and leak proof tent so you should not worry about annoying odour usually spread by grow space. However, what it lacks is an observation window that we usually see in almost all grow tent out there. 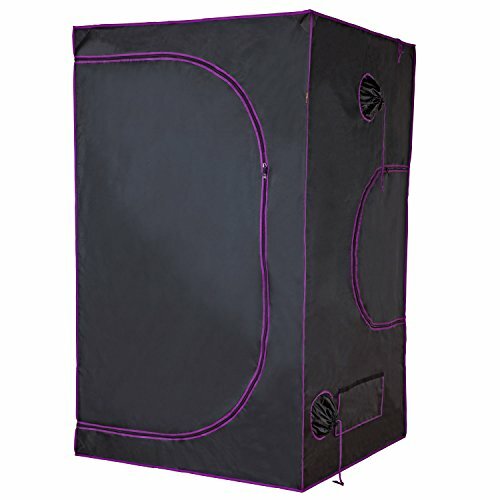 However, again its beginner level grow tent and made for people who can’t afford a high end grow tent initially. All in all, it is perfect if you’re just starting into growing and don’t want to risk your money on any large sized grow tent. One more thing we should state here is, the manufacturer didn’t specify anything regarding warranty period. However, upon asking people, we got a positive response which satisfied us, and we included it as our one of the best budget grow tent. Not made for tall plants with average height of 3.5 ft.
High quality and best performance concerning the reflection and prevention of light leakage is what it offers. Apart from that, it is one of the lowest priced yet working great product on the market which justifies its place in our best indoor grow tent reviews. Yeah, we’re recommending this grow tent to people who’re running tight on the budget and wants to start small. It’s a perfect product for a beginner in weed cultivation. People with the limited budget, premium requirements and 3’ X 3’ grow space we dig thing dipper for you and came up with FinnHomy 36’ X 36” grow tent. Grow tent is ideal for marijuana plants we must admit here. Yeah, we said so because one should expect at least 6 ft. of height as far as grow tent is concerned. Finnhomy grow tent is built using high quality and thick canvas materials for exterior covering. On another hand, it features highly reflective Mylar material for interior where almost all the light generated inside grow space will be reverted to the plants. Yeah, as we usually say optimal use of light is the prime job of any grow tent, and that’s what it does. Moreover, materials used for the formation of the body which acts as a backbone to hold entire structure is of high-quality metal. However, for cornering clips highly durable fibre clips are provided by the manufacturer which is entirely reliable one should not worry about the same. To ensure you prevention of leakage grow tent features dual stitching and high duty thick SBS zippers. If we talk about zipper quality, then it’s smooth and easy to open and close. However, in few cases, user faced an issue initially, but after several events, it gets to track. As far as accessibility is concerned, FinnHomy 3’X3’ grow tent comes with multiple duct holes which you can tier with the string attached with the package. An observation window on the door is double layered and ensures that light isn’t getting out until you don’t access the space. The manufacturer provides a removable Mylar tray for easing your cleaning jobs. Yeah, cleanliness is a crucial part in indoor growing you might be knowing that. Change in ducting hole placement could further improve performance. The best part about finnhomy grow tent is perfection in dimension. Yeah, it has everything that we expect from an optimal grow tent but height and width are something that we should concern when we are going to grow taller plants in our grow space. Especially for marijuana, We advise our readers to go for a grow tent which is at least 6 ft. in the height parameters because its grow cycle is a bit different compared to other vegetables and herbs. So, yeah, looking at accessibility options, quality materials, easy assembly, perfection in dimensions and overwhelming satisfaction among existing users we’d recommend our readers to take a look at this finnhomy grow tent for sure. 420ExpertGuide’s verdict about selecting the one out of this top 10 grow tents. So, folks, we hope you liked this review article. We just don’t aim to provide you with specification details of all the products available on the market, and hence we reached out to people using the respective product and collected the fact files about all the products. However, it isn’t easy to decide on one product, but after this verdict, you’ll have a clean and clear idea about what is made for you. So, we assume that you’re sure about your grow space capability, and then you’re planning to buy a grow tent. It’s not , but if you’ve already selected an LED grow light for you, then it’ll be an added advantage. Yeah, because it’ll straightforward eliminate some grow tents from the list if you’ve decided that you’re going to buy a 600W LED grow light, or you’re going to buy a COB Grow Light for your gardening venture. So, Here’s a quick recommendation where we’ve divided grow tents in several segments and presented you as a recommendation based on reflection capability in descending order. If you’re just beginning into indoor weed cultivation and want to test how to grow marijuana indoor, then this 3 small sized grow tent can help you in learning the stuff and getting a decent grip. In case, you’re aiming to grow in a bit big sized space and looking for a mid sized grow tent then there are 4 best recommendation for you. 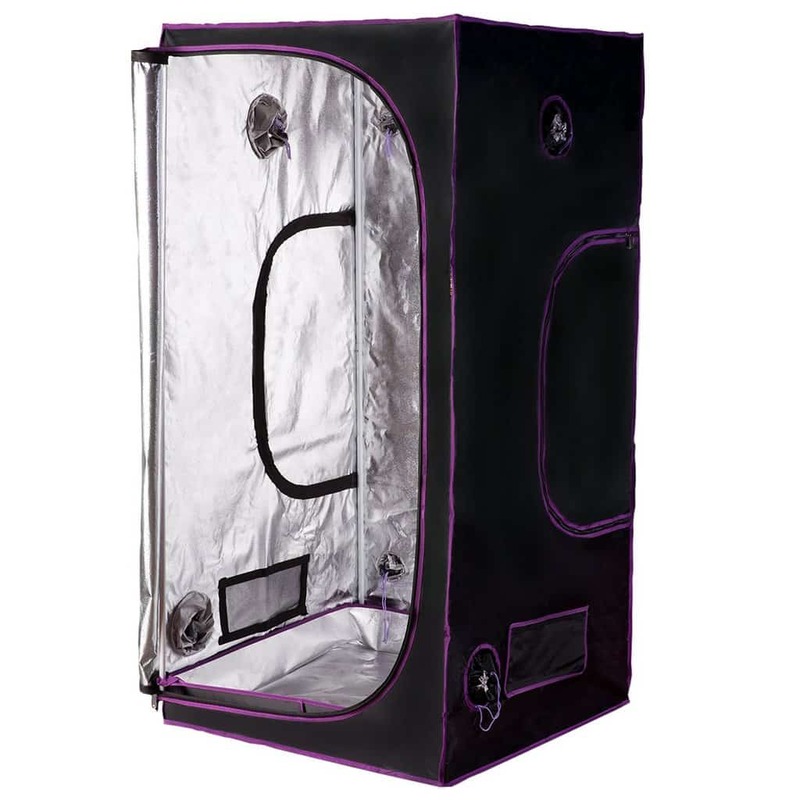 Apollo Horticulture 3’ X 3’ X 6’ grow tent with 100% reflection capability and durable material. FinnHomy Grow Tent for 36”X36”X72” Grow space with 100% Reflective Mylar material. Vivosun 4’X2’X5’ Grow tent for indoor growing with 98% light reflection capacity. iPower 48”X24”X60” budget friendly grow tent with 95% Reflective materials. Now, for people who’ve already explored some decent growing techniques and have fabulous grip about indoor cultivation here’s 3 best big grow tent for you. Apollo Horticulture 48”X48”X80” grow tent with 100% Reflection and decent price. 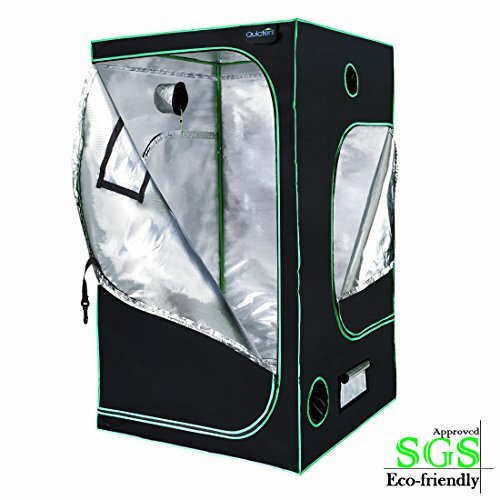 Quictent SGS Aprroved high quality 4’X4’X6.5’ grow tent with 100% reflective Mylar. 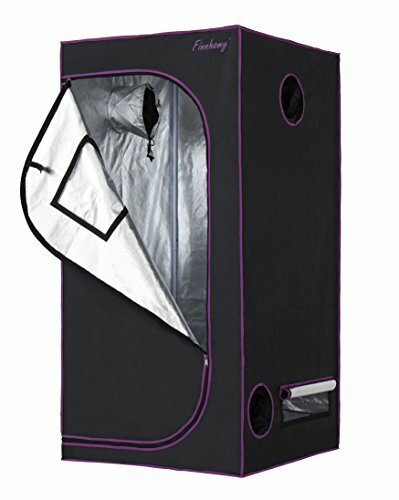 VIVOSUN 5’X5’X6.5’ grow tent for tall plants and large grow space. Hope you’ve like our grow tents review article and share which one you’ve ordered in the comment section. Before we finish this review article here’s a bonus buyer’s guide for you. Please take a look at it’ll definitely help you in selecting the best one. We’ll keep this section short yet easy to understand and won’t bombard you with scrap that don’t matter. So, scroll through this checklist and you’ll get what you should aim for while selecting the grow tent for your indoor gardening purposes. An ideal grow tent must possess high quality materials for both inner and outer structure. Sturdy and stable structure is prime requirement in a grow tent as its going to provide most essential backbone support to your grow tent structure. Yeah, Inner section of grow tent should be completely reflective and one should aim for at least 90% up in reflection tests. Zippers are something that you’ll have to access back and forth so aim for one where zippers don’t stuck and not messy. Main concern should be prevention of light leakage and odour control. So, yeah grow tent you plan to go for should be completely leak proof. Proper ventilation is necessary to remove bad air and hazardous component out of your grow space so look for perfectly designed ventilation ducts and air flow control mechanism. Although one can have access to a grow tent by entering into grow space, yet it’ll be great if a grow tent has quick observation window from where you can inspect the progress and have a look whenever you think. Durability is another concern, as grow tents are going to be repurposed back and forth for your future growing ventures as well. So, yeah long lasting quality materials are a plus point here. Spill tray plays a vital role in cleaning the grow space without hassle. Also, Other accessibility options such as tool holder pocket or bad, utility straps and so on should be considered as an added advantage only and one should not get trapped into this by compromising essential factors. Most important out of all is support. Yeah, in case manufacturer has not specified about it then reach out to people who’ve used it and seek their opinion whether they’ve faced any issue or not. However, we’ve done the job of reaching out to people in all the products but if you want you can still confirm. And last thing is budget. Yeah, tents are not costly compared to LEDs or COBs but still if your huge money on stack for LED then don’t look to save a buck on grow tent and aim for best reflection. As it’ll further improve health and yield which is win win at the end of the game. We hope you enjoyed our best grow tent reviews. Share your opinion or story in the comment section. We’d be glad to feature it on our site.